DEADLINE: Just send your Stickers before august 31st, We’ll use all the stickers for STICK MY POP (STICK MY WORLD #4). IMPORTANT: Send Your stickers with your name, country, website or social networks. queremos tus stickers para el próximo Sticker Show (Mega Combo): STICK MY POP (STICK MY WORLD #4). DEADLINE: Solo tienes that enviar tus stickers antes del 31 de Agosto. 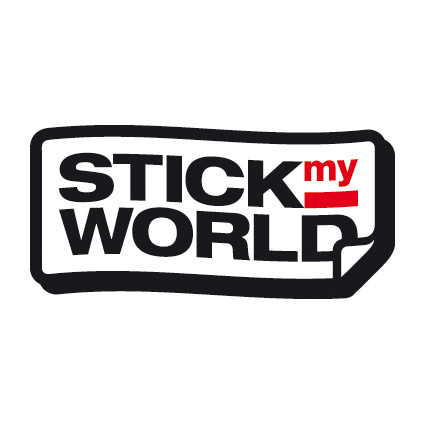 Vamos a mostrar todos los stickers en el STICK MY POP (STICK MY WORLD #4). IMPORTANT: Manda tus stickers con you number, país, web y redes sociales. The contributions of all the artists who want to participate will be welcome. DEADLINE: Send your stickers before August 31, 2010. All stickers sent will be used for STICK MY POP (STICK MY WORLD #4). IMPORTANT: Send your stickers with your name, country, website, or social networks. Prazo final: want seu sticker até 31 de agosto. Nós usaremos todos os stickers # STICK MY POP (STICK MY WORLD #4). IMPORTANT: envie seus stickers com seu nome, país e website or redes sociais. I want this as a STICKER! Cool, send us the new art!! !